I had promised in my previous post about whole grains that I would share about one other, huge improvement I had noticed since cutting whole grains out of my diet. That last post dealt with dental decay caused by demineralization, in turn caused by whole grains. Today's post will focus on morning sickness and hyperemesis, and how whole grains play a part in that, as well as the role of folic acid and MTHFR gene mutation. I believe these to be the final pieces in the puzzle of solving the morning sickness mystery for me. I have suffered varying degrees of severe morning sickness (NVP) to hyperemesis (HG) with all of my first seven full-term pregnancies. By the time I became pregnant with what is now my 8th child in 2013, I had made a major breakthrough in finding a connection between gut health (more specifically H.pylori colonization) and NVP/HG. By aggressively going after the H. pylori and consuming foods that build gut health, I went from throwing up 20-30 times per day with my first seven pregnancies, to only throwing up a handful of times per pregnancy with #8 and #9. In addition to the handful of times I threw up, I did also have all-day nausea, but it was manageable and I was able to keep up with my daily responsibilities as a mother of a large family (cooking, shopping, homeschooling), which in the past had been near impossible to accomplish during the first three months. Going from hyperemesis to 'only' all-day manageable nausea with minimal throwing up was a HUGE improvement! During my pregnancy with baby #9 in 2015/16, I stopped using all wheat, even though I had only used non-GMO, organic varieties for years by that point. When I say 'wheat', I mean the grain wheat, as opposed to rye, barley, oats, etc. In the US, whole wheat is often confusingly referred to as just 'wheat' as in: would you like wheat or white, when in fact both are made from wheat (one from all-purpose white flour, one from whole grain flour). I had noticed that during pregnancy, eating wheat became an asthma trigger for me, when I had never before suffered from asthma. I also would get an angry rash on my forearms anytime I ate wheat. Since I then noticed that wheat was also an asthma trigger during allergy season for two of our kids with seasonal allergies, I stopped using it for our entire family. All modern wheat, over time, will cause damage to the gut due to the compromised gluten found in it. So even the kids who were not yet showing symptoms, would still compromise their health over time. 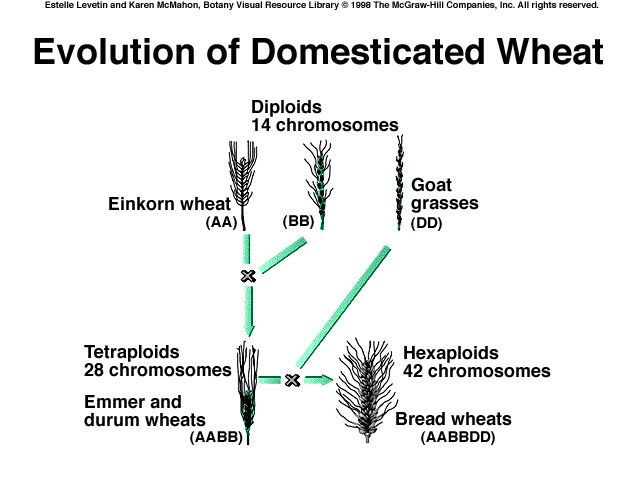 All wheat grown after the middle of the 19th century is heavily hybridized and genetically compromised as a result. More on that in another post. Not willing to give up our 'daily bread,' and knowing that bread in and of itself is a good food the Bible speaks highly of, I instead switched to using only einkorn for our family, mostly in the form of sourdough. Einkorn is an ancient form of wheat that has not been cross-bred, and only has 14 chromosomes instead of 42 like modern varieties (which are accompanied by a far greater and more harmful array of those pesky glutens). While I used both whole grain einkorn as well as all-purpose (white) einkorn flour for the first year, I stopped using the whole grain in 2016 after making the connection to tooth decay resulting from the phytic acid in whole grains. I had at this point already been using mostly sourdough, but the souring was clearly not doing the trick in breaking down the phytic acid. Supposedly, soaking grains, sprouting them, and/or making them into sourdough greatly reduces those harmful anti-nutrients like phytic acid. Not only was this 3-step process too much bother for me since I get the nutrients found in whole grains from plenty of other sources in my diet, but I also did not want to take a chance and ingest any phytic acid if I could help it. Even as a whole grain, einkorn is naturally lower in phytic acid than modern wheat, but I wasn't taking any chances. I knew our teeth were a reflection of our bone health, and seeing how much cutting out whole grains had completely improved our teeth, I was ready to kiss them goodbye for good, sourdough or not. The only major differences between my current pregnancy (#10) and the two previous 'good' ones (#8 and #9) was that 1) I switched to einkorn, and that 2) I cut out any and all whole grains (even brown rice, whole oats such as rolled or steel-cut, etc. I do still use some quick oats because they are precooked and dried to make them 'quick cooking,' which greatly reduces their phytic acid content) and 3) I had stopped taking prenatal vitamins about 6 months before becoming pregnant. The result? This is huge! 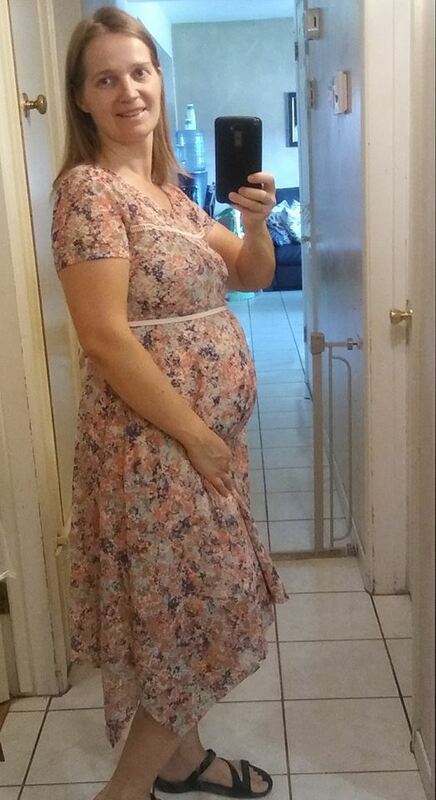 This has bee my best pregnancy yet, by far! I only felt nauseated for a total of approx. 2 hours per 24h period from weeks 8-12, typically only if I waited too long between meals or got too tired. I only threw up 2 or 3 times this entire pregnancy, and I think it was always after getting too hungry, and then eating too much, too fast. I felt so good, I didn't even know or suspect I was pregnant until I was almost 8 weeks pregnant - in the past, being miserably sick had been one of my first signs of pregnancy. Between the three points above, point 1) switching to einkorn is just an amplifying factor to point 2) cutting out whole grains as well as point 3) because the einkorn flour I use has not been 'fortified' with synthetic B vitamins. 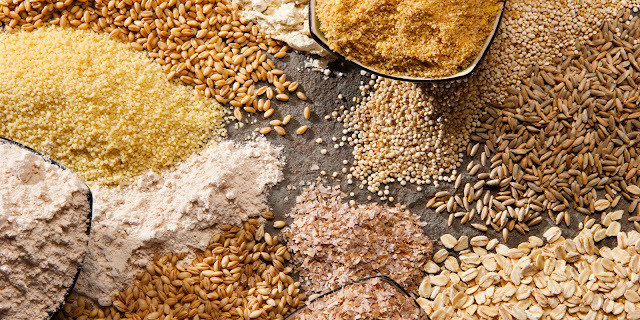 Don't despair if you are not ready to switch to einkorn (it's expensive and a huge pain to learn to bake with), just cutting out whole grains will most likely do the trick for you and greatly reduce HG/NVP. If you do want to give it a try, Jovial Foods has a 20% off sale on their flour (and all other products) right now through Sept. 8th with coupon code BACKTOSCHOOL. I have never seen them offer a discount like that before, so don't miss it! I like to buy 2 or more of the 10 lb bags of all-purpose flour, which brings down the price. With the 20% off, it is only $24 per bag (or $2.40/lb, about $1/lb cheaper than at the store). Why would whole grains have anything to do with morning sickness? Again, I blame phytic acid. It is an antinutrient that must bind to minerals it leeches from bones and teeth in order for the body to be able to rid itself of it. Minerals like calcium and magnesium, which go 'hand in hand'. While calcium deficiency leads to to tooth decay and loss of bone density, being deficient in magnesium is a major aggravating factor for morning sickness. Mommypotamus has blogged on this connection. I knew from past experience that in addition to the gut-healing measures I was taking, using topical magnesium spray and taking Epsom salt baths would bring a measure of relief for my morning sickness. But just the spray and baths alone were a drop of water on a hot stone for me. Eliminating the root cause of being magnesium deficient (whole grains) brought a whole new level of relief and normalcy to my pregnancy. By the time I found out I was pregnant, I had been following Weight Watchers and tracking all my food daily for 9 months. Part of the program includes eating lots of fresh produce, lean proteins, and healthy fats. I knew I was getting the best possible nutrition for myself and baby from that in spite of not eating whole grains. The main benefit of whole grains is fiber and vitamins, all of which I was getting plenty of in the form of fresh, abundant produce. I have learned that anytime the USDA or FDA widely promotes and touts health advice (such as fake fats, fake sugars, low salt, fluoridated water, vaccines, and yes, whole grains) we should take a second look and investigate if their advice is really intended to promote public health. By the time I found out I was pregnant, I had for months NOT been taking my usual whole-foods-based, raw, natural prenatal vitamin because it made me nauseated. I felt confident I was getting everything I needed from my diet of abundant, fresh produce, grass-fed meats and dairy, healthy fats, etc. As a result, this has been my first pregnancy in which I have not taken any multivitamin supplements for months before becoming pregnant. Ironically, I have never felt better with any pregnancy, and I have not had the severe charlie-horse muscle cramps I would get during previous pregnancies if I forgot to take my daily calcium-magnesium supplement. Clearly, I am no longer deficient in these minerals (thanks to no whole grains), and actually feel nauseated if I try to supplement with more. Why could prenatal vitamins contribute to morning sickness? I am not certain on this, but have been reading a lot in recent years about the MTHFR gene mutation. It is suspected that 1 in 3 people have this mutation. Those who are affected by it are unable to absorb folic acid and convert it into folate, which is what food naturally contains and what our bodies need. This is a great introductory article on the topic of folic acid and MTHFR. You can search google for a ton more info. Unfortunately, most vitamins contain folic acid, not folate. Grains, cereals, and flours that are 'enriched' are full of synthetic folic acid. Not only does this not do any good to those with the gene mutation that prevents them from converting this into folate, it actually does them harm as the folic acid blocks their folate receptors, making it impossible to absorb even the folate they are naturally getting in their diet. I have not been tested for the MTHFR gene mutation, but suspect I might have it. By removing all sources of folic acid from my diet (in the from of vitamins, fortified grains, cereal, 'enriched' flour, ready bread products etc. ), and instead consuming lots of fresh foods that are natural sources of folate and only eating breads made from non-fortified einkorn flour, I am no longer deficient in this vital nutrient. 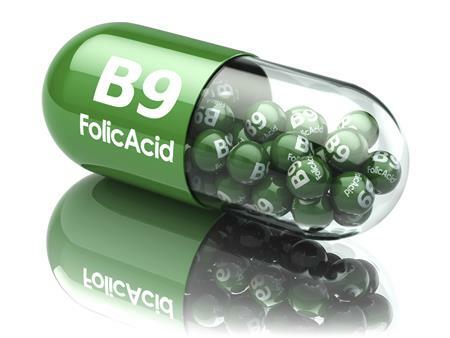 It has long been known that being deficient in B vitamins (including folate) is a major contributing factor in morning sickness. Interestingly, I have been craving the following folate-rich foods with this pregnancy: arugula, asparagus, Brussel sprouts, avocados, tangerines, beets, peppers, beans (soaked), lemon water, and the like. Side note: the prenatal vitamin I was taking is labeled as containing 'folate' (not folic acid), but I don't know that I believe that. It made me feel sick just as folic acid does, so maybe their labeling is somehow deceptive. * Or maybe only folate from fresh food sources can be absorbed by people like me. In any case, I'm done taking it. Edited to add: One of my readers on Facebook commented that while Garden of life prenatal vitamins start out with folate, the way it is processed converts the finished product to folic acid. That would explain why they did not agree with me, in spite of being labeled as containing 'folate'. Another side note: As far as gut health during this pregnancy, I found no improvement from taking cocolaurin. 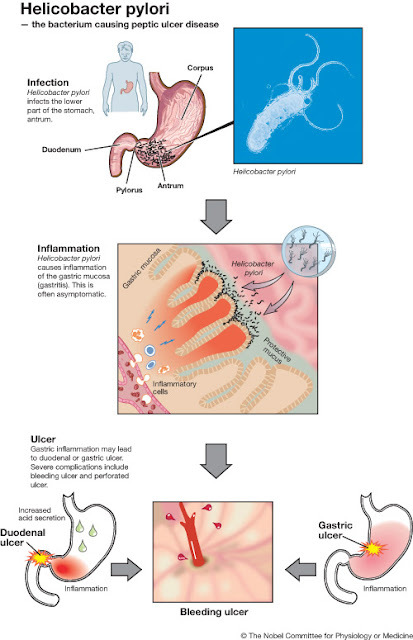 During weeks 9-12, when I was nauseated for about 2 hours each day, I added sauerkraut or kombucha to most meals, and took capsules of baking soda (about 1/2 tsp, 3-4 times per day) to combat h. pylori. A couple of times, I followed the baking soda with some colloidal silver. This was enough to keep the h. pylori and nausea well under control, so that I did not need to supplement with any other gut-fortifying or cleansing supplements. So there you have it - the end of my journey from hyperemesis, to nausea, to near-normal, all through adjusting my diet. It has only taken me 16 years and 15 pregnancies to figure this out and share my anecdotal experience with you. Please remember, I am not a medical professional, only a clueless stay-at-home wifey and mother who has gone from feeling like I was dying to enjoying even the first trimester of pregnancy. 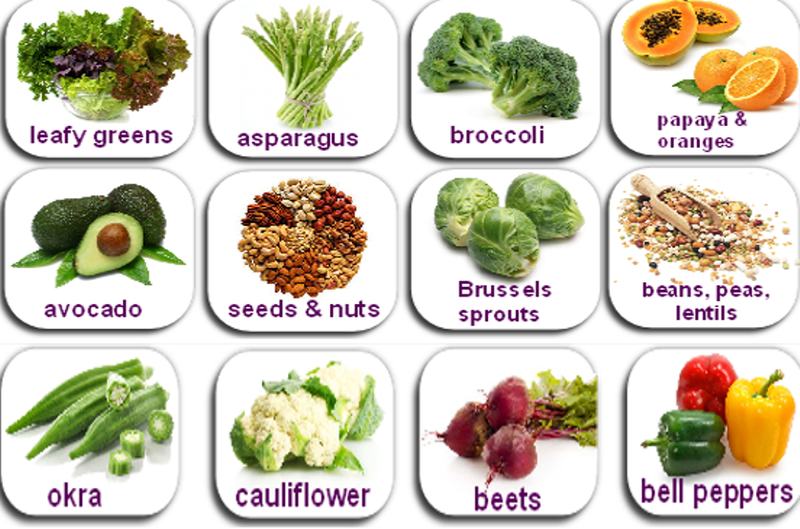 3. consume plenty of B vitamins, especially folate, in the form of fresh food. I will do a follow-up post soon that puts all the puzzle pieces in one spot, summing up all my HG and NVP resources in one post, with links to all previous posts, for easy reference.